The Wienermobile is one of the world's most revered vehicles, seemingly capable of anything, except for one pretty major flaw: It doesn't actually deliver hot dogs. 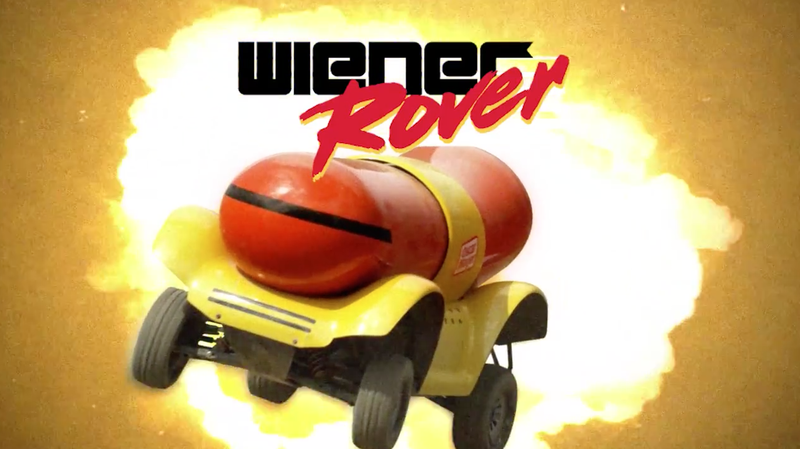 Which is part of the reason why Oscar Mayer and 360i just created a miniature version called the Wiener Rover—a tiny, indestructible beast that will roam the country delivering a "precious cargo of warm, ready-to-eat hot dogs to fans wherever they find it." The Wiener Rover is one-seventh the size of the Wienermobile. It's 23 inches tall by 43 inches long—or using the Oscar Mayer measurement system, about four hot dogs by eight hot dogs. It is battery powered, travels up to 20 mph and can hold up to eight hot dogs, plus condiments. "We consistently hear that people are hungry for a hot dog after they see the Wienermobile, but we have never been able to offer them the deliciousness they desire," Corey Rudd, senior associate brand manager at Oscar Mayer, said in a statement. "We developed the Wiener Rover to go where no Wienermobile has gone before to surprise and delight our loyal fans at their local parks, beaches, festivals and beyond." Watch out, though. As you can see in the video, the Wiener Rover—which made its debut in New York City on Thursday, which was National Hot Dog Day—appears to have a mind of its own. It may, given the opportunity, jump up on your picnic table and just mash right through your carefully arranged picnic place settings.